PREBLE COUNTY — Twin Valley Bank employees participate in a “jeans Friday” program by making weekly contributions to a fundraising account. 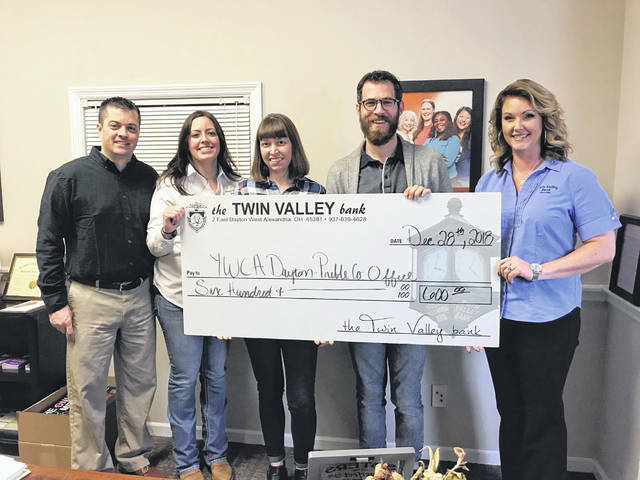 Funds raised throughout the year are matched by Twin Valley Bank and then distributed annually to three local charities chosen by TVB employees. Since the beginning of this program in 2014, Twin Valley Bank employees have raised over $7,000 to benefit local charities. Recently, Twin Valley Bank donated $600 to Preble County YWCA.